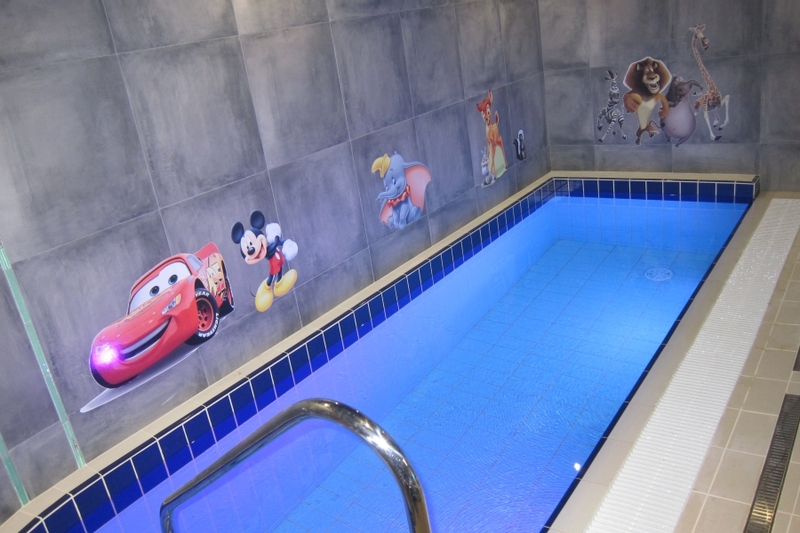 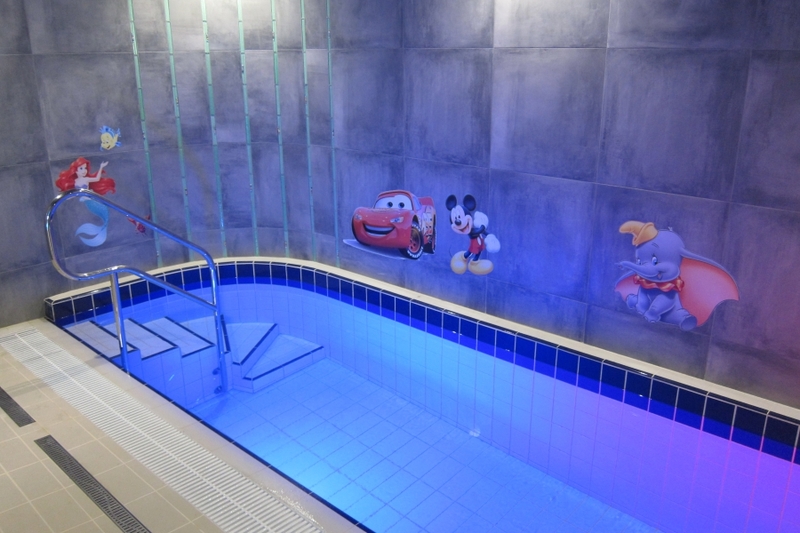 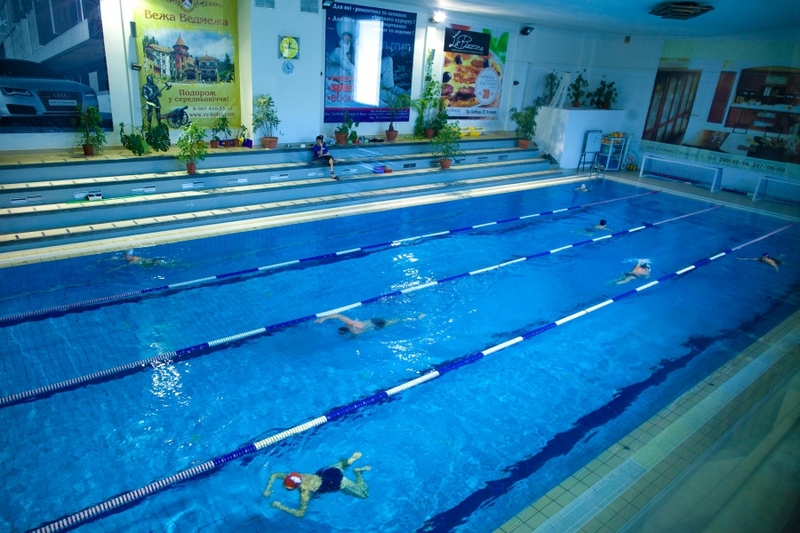 The dimensions of the swimming pool: 25 m x 10 m.
Depth: 1,6 m – 3,5 m.
The dimensions of the swimming pool for aqua aerobics: 8,2 m x 8,2 m.
The dimensions of the swimming pool for baby: 5 m x 1,5 m.
Swimming – is generally strengthening activity, in which the main groups of muscles are training. 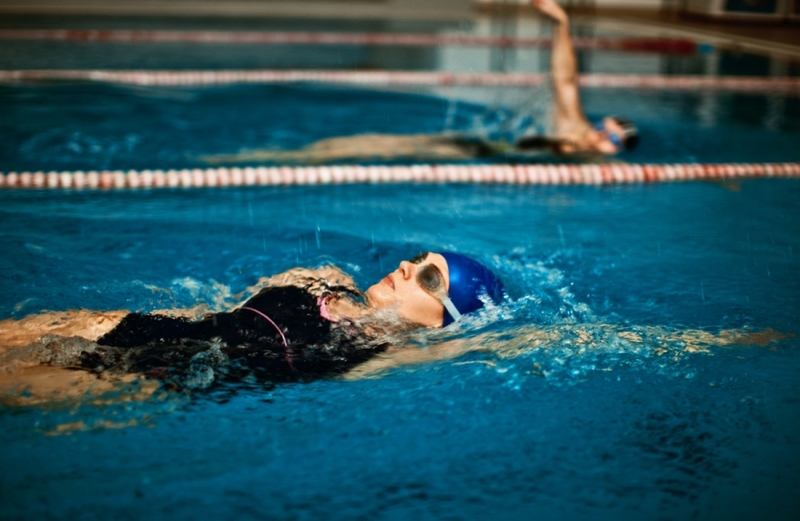 Except muscle training, swimming strengthens joints, adding them flexibility. 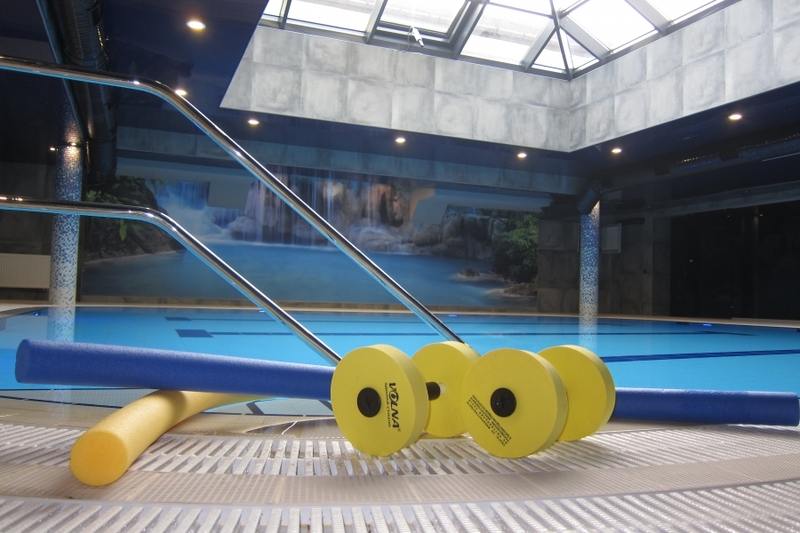 It is an ideal physical loading, which suits people of different age and body shape. 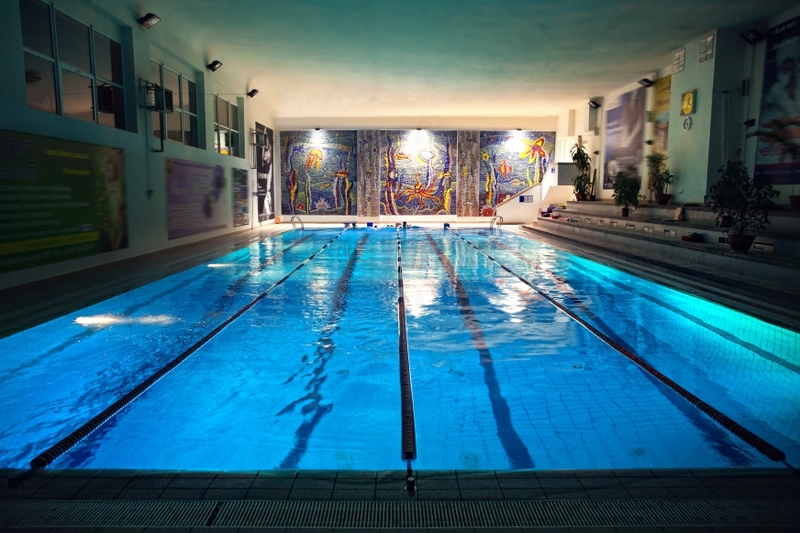 For those who can’t swim we offer personal lessons, where you can reach desirable result in cooperation with experienced trainer. 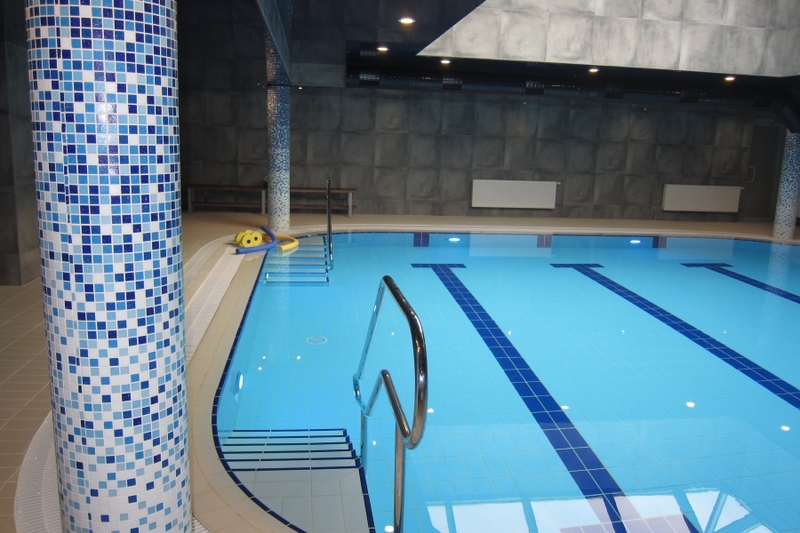 Swimming pools is equipped with modern system of water cleaning. 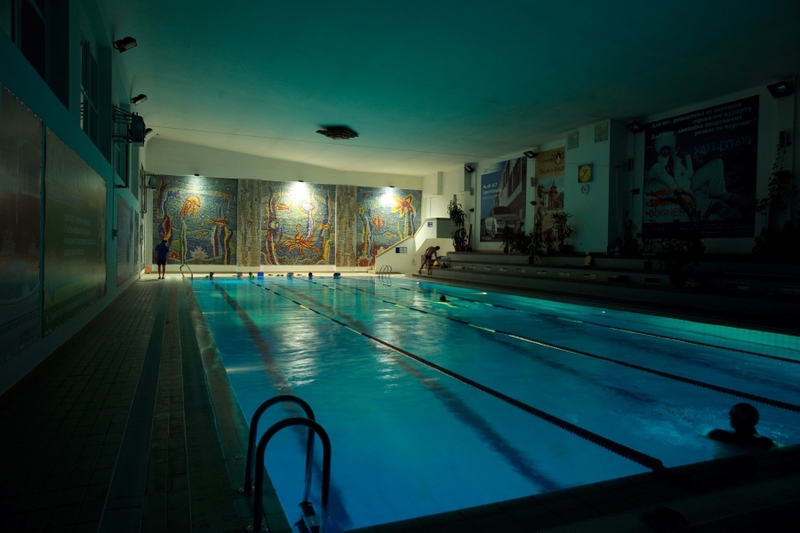 In addition, the ozone installation is working to clean the water and make it light-blue and limpid. 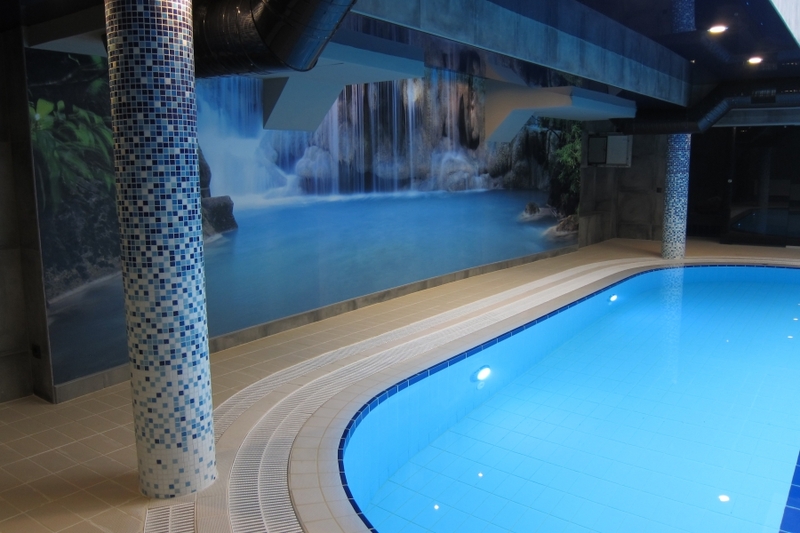 Comfortable conditions ensure: fresh air, warming of the floor, lighting in the evening hours. 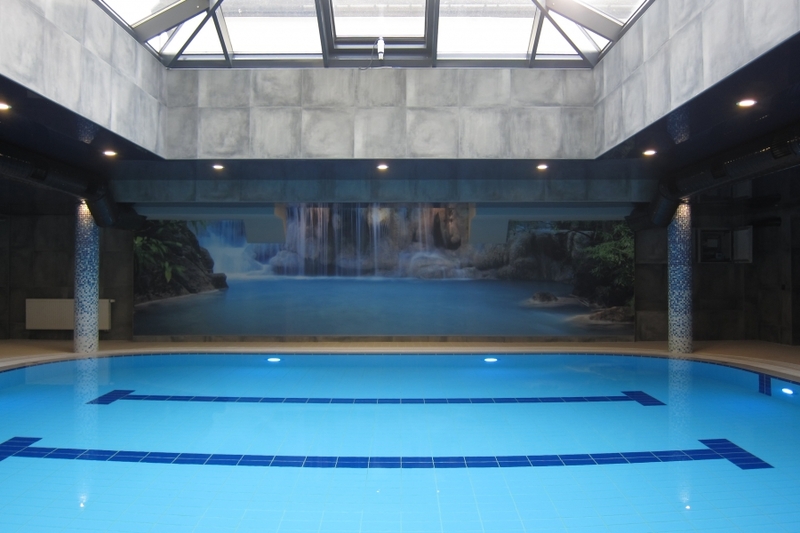 The temperature in the pool is 26°C above zero, air temperature is 27°C. 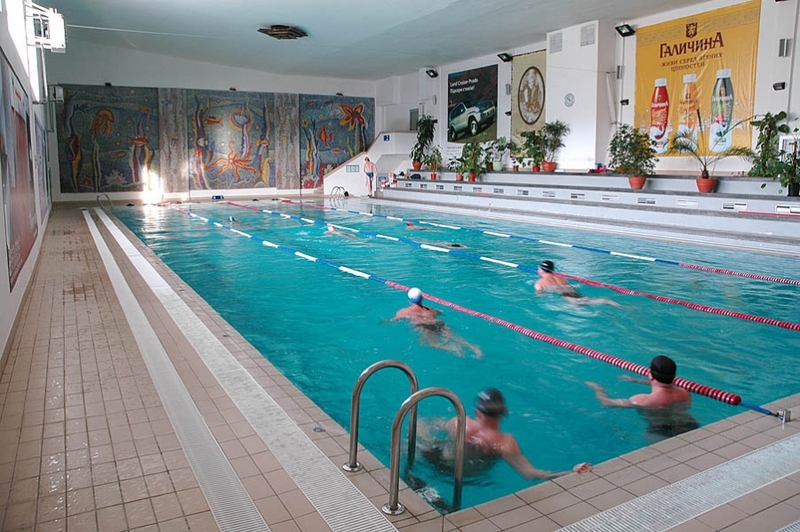 The temperature in the pool for aqua aerobics is 28°C above zero, air temperature is 29°C. 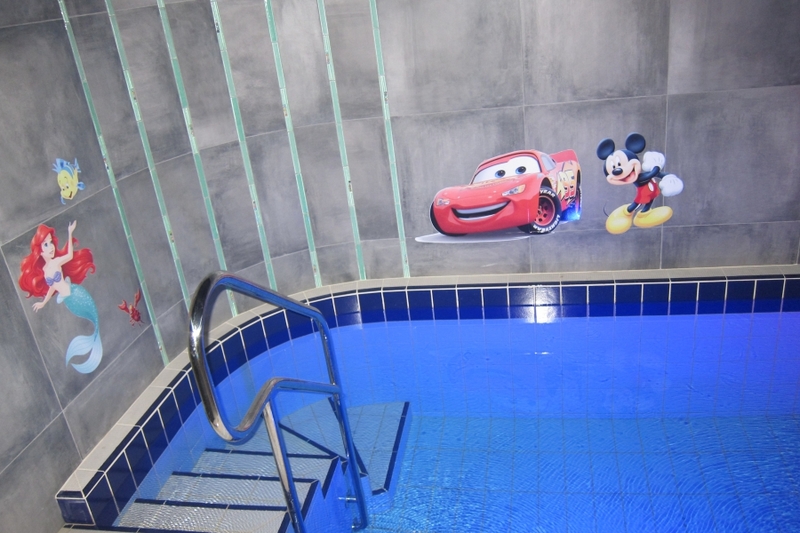 The temperature in the pool for baby is 29-30°C above zero.